If your kitchen cabinets need a to be replaced but you were unable to do so. So don’t worry, Spray painting will give do the job what you want to your cabinets. 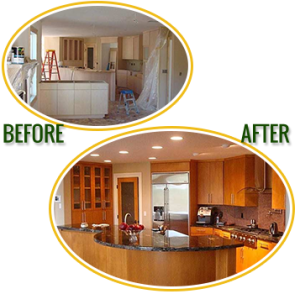 Samraa Maintenance Services is providing you with the service which makes your cabinets same as like because by Painting Kitchen Cabinets in Dubai. When you’re looking for some extra smooth finish and proper finish then we will recommend you Spray painting which also gives you the extra shining and perfect look. Spray painting is very much easier than the painting with brush and roller but it takes some extra time and cares to handle it. 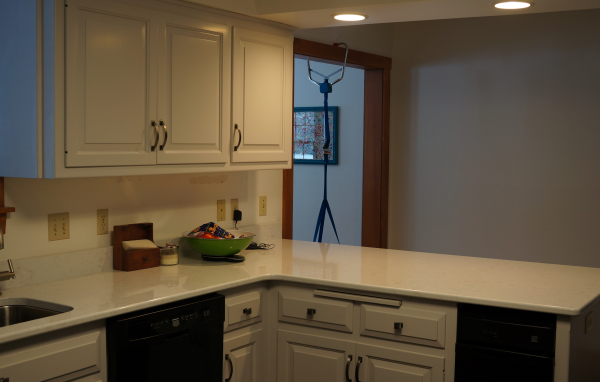 It also helps in painting the cabinets hangs and doors because it needs some extra effort as it is a minor work to do. If you decided to apply spray paint on your Kitchen cabinet then and you do not have any sprayer machine then you have to just go the hardware and paint shop and ask him about it. If you’re thinking to paint the cabinets with the can spray then the nozzle of sprayer will get the block because it exerts some extra pressure which blocks it. The experts of the hardware shop will offer you HVLP sprayer which is not much expensive but it is very handy to use. It allows you to paint the areas in which brush and rollers cannot enter properly. By using HVLP you can also paint the edges of the cabinet effectively. You can also Call Samraa Maintenance Services for Painting Kitchen Cabinets in Dubai because we have experts and professionals for it. Samraa Maintenance Services is one of the best and the oldest painting services providing company in Dubai. We have the expert and the professional technical staff who is working in this field for many years. 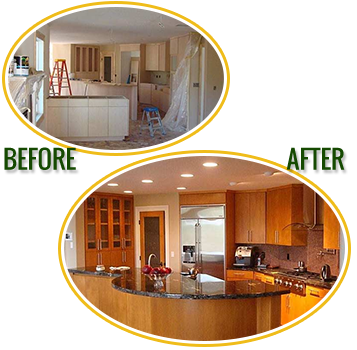 Painting Kitchen Cabinets in Dubai is a difficult job to do but it not for the painters of Samraa Maintenance services which mean that our staff is the best in the entire Dubai. When you decided to get services from Samraa Maintenance Services then our technicians will reach at your location in no time and will start the repair. First, we safely remove the cabinets from the place and mark points at the hanging area so we will not face any difficulty at the time of reinstallation. After removing the cabinet from its position then we remove the hinges and doors of the cabinets then put them all in the plastic bag and so they can be safe from getting painted. Technicians of Samraa Maintenance Services always choose the open area like an outside yard or the garage where the proper ventilation of air is going because can help us in both conditions like it cannot harm us when it is an open area and the second thing is paint is not coated on other things in the surroundings. We set up a proper table and designate a specific area in which we will do our job. 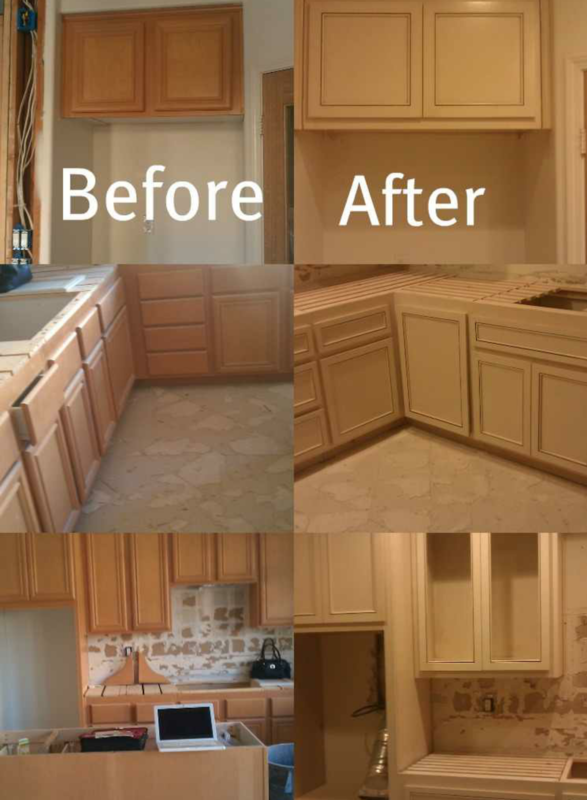 We always spray the cabinets in two coatings because it provides a great finish and smooth look to your cabinet. Our spray machine technicians are fully trained in machines operation and they know the repair of it also. Hi need a quote for kitchen cabinets and terrace.